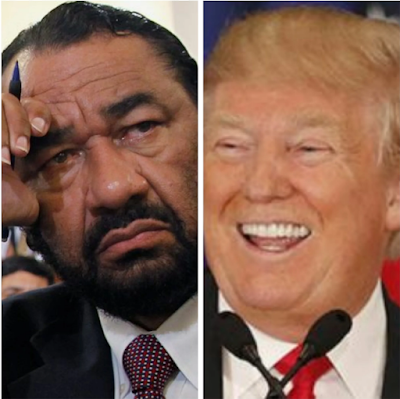 However, the resolution to impeach Trump was voted down by a 364-58 margin, with many members of the Democratic Party voting against Trump’s impeachment. 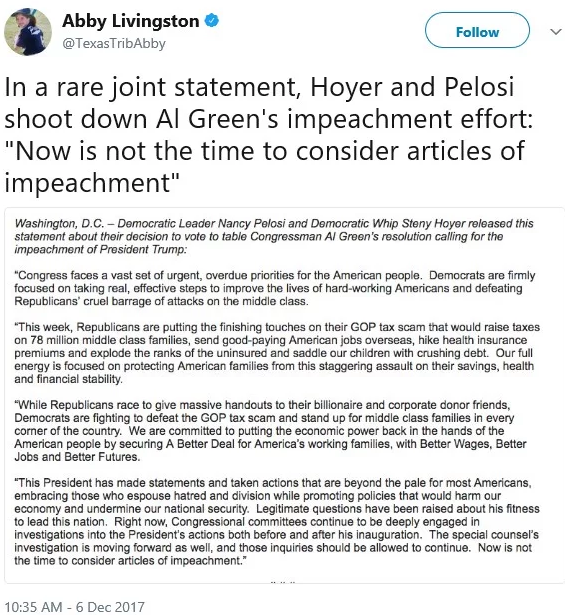 Green also specifically referenced the most recent travel ban to six mostlymuslim countries that fulfilled Trump’s campaign promise of a “complete shutdown” of Muslims entering the U.S., the banning of transgender individuals serving in the military, as well as denigrating comments he made about NFL players, Puerto Ricans, and Rep. Frederica Wilson (D-Fla.). 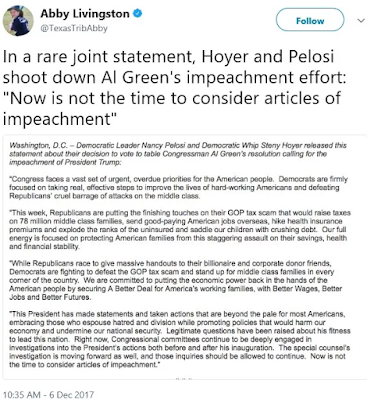 Green’s efforts to impeach Donald Trump failed woefully, even Minority Leader Nancy Pelosi (D-Calif.) who can't stand Donald Trump opposed the move.